A few weeks ago one of our son’s best buds turned 15. 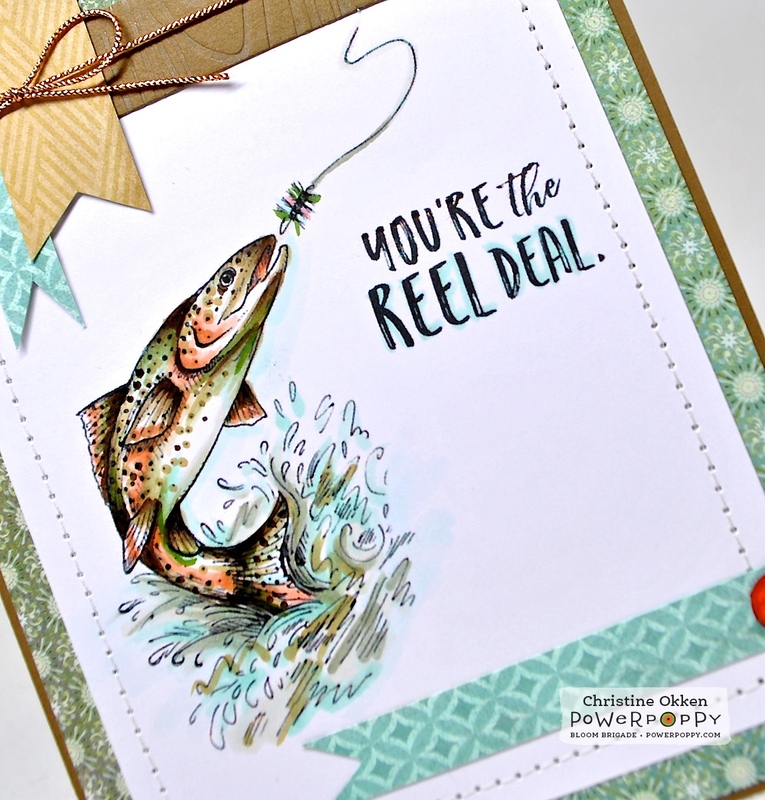 He happens to love fishing, so I knew I had the perfect image to use from Power Poppy, Leaping Trout (digi) and the sentiment from another Power Poppy Digi, Reel Deal. Last year I did a larger trout design that I really loved, it’s actually my most pinned image ever, so I used some similar colours and a bit different layout. As I was pulling out some papers I thought might work, I realized the tones in the designs were a bit off. That’s why I love my Copics, I could just sweep a light colour that I used in my colouring overtop of the patterned paper and it matches perfectly, tying everything together. Here’s my Copics for the colouring. Isn’t he a handsome fish? Best part of all, after opening it, the 15 year old said “this is actually really cool!" 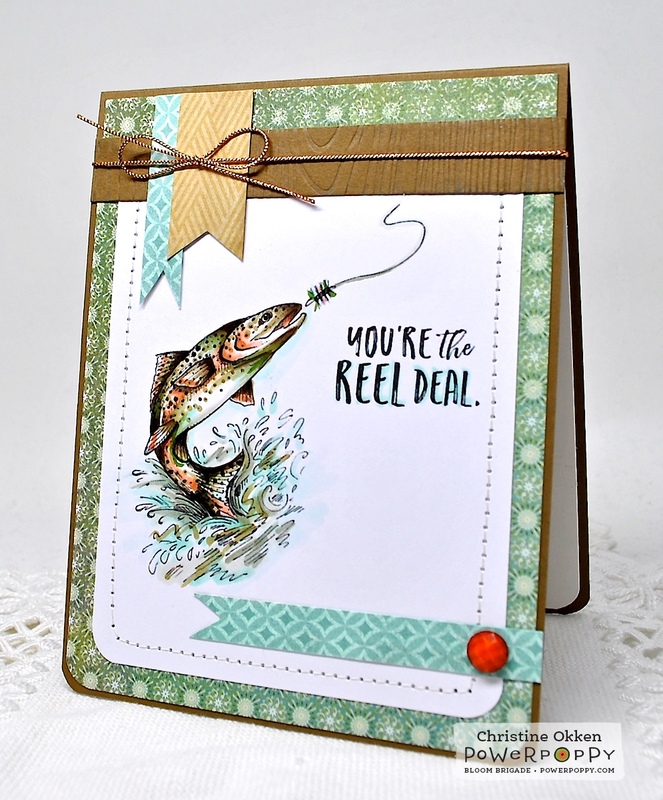 You do such an awesome job of coloring those fish and love the design of the card too! Nice, Christine! Lots of clean white space, but still with the patterned papers and design that I love. Your coloring is simply amazing. Had to go take another look at your most pinned card ever, too. Wow! Fabulous Masculine card!! Love how you coloured the fish!! Christine, this is absolutely gorgeous and handsome! I loved your first card with this image, and this is beautifully done with a great layout and DP! Yes, I love the "magic" of using Copics helps things to match. And the fish coloring is fabulous! Wow, I'm sure your son loved this card! Hugs!